Brother Label Maker Just $29.99! Down From $60! PLUS FREE Shipping! You are here: Home / Great Deals / Amazon Deals / Brother Label Maker Just $29.99! Down From $60! PLUS FREE Shipping! Hurry over to Amazon where you can score this Brother Label Maker for just $29.99 down from $59.95 PLUS FREE shipping! 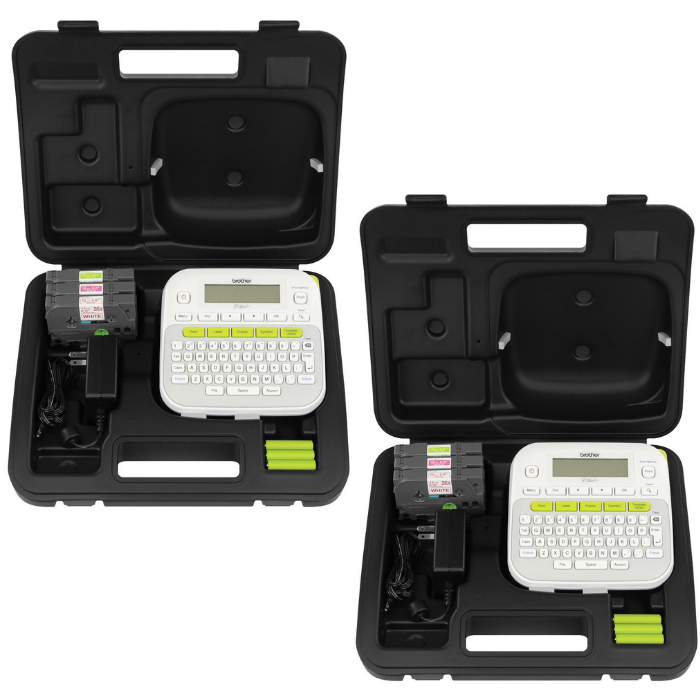 For those in search of an easy-to-use home or office label printer, the P-touch PTD210 should be on your wish list. The Brother P-touch PT-D210 makes it easy to create great-looking labels for your home and home office. With its convenient one-touch keys, you can quickly access fonts, symbols, frames, and templates. Plus, users have the flexibility to preview the text for each label that is highlighted on the display to reduce printing and type errors. This helps to save time, money, and supplies. This easy-to-use label maker allows you to design professional-looking labels. The PT-D210 features 14 fonts, 10 unique styles, 97 frames, and more than 600 symbols. The use of one-touch buttons allows users to access fonts, styles, and frames to create elegant labels for personal or business use. There are also 27 quick and easy templates. Simply select the template, type in the content, and print. These labels are great for scrapbook pages, gift tags, and more.